Comment: Are we ready for Mini's move upmarket? Mini will be targeting new company car customers with the next Clubman, as it takes the brand into the premium family hatch sector. While Mini models have been incredibly popular since the launch of the first one produced by BMW in 2001, they haven't had a great deal of appeal to fleet operators. It was hampered for many years by only being available as a three-door model. 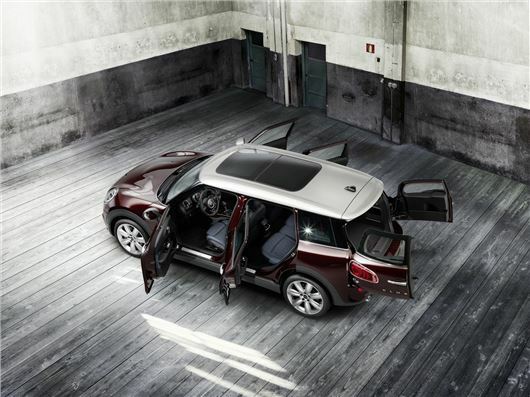 The Countryman addressed that to some extent in a larger package, but now the five-door Mini Hatch is also making a difference. Still, only around 15 per cent of Minis sold each year end up on company fleets. But in 2016 that is expected to reach 17 per cent. The driving force behind that increase will be the new Clubman, which although is based on the Mini five-door model, is expected to compete with C-sector cars such as the Volkswagen Golf, Mercedes-Benz A-Class and Audi A3. The Clubman’s basic dimensions (length, width, height and boot volume) are fairly close to those of the Golf, and, along with a move upmarket the new model is targeting new customers for the brand. There are no plans for entry-level One derivatives of the Clubman, as there are in other Mini models. The range will be offered in Cooper, Cooper D and Cooper S variants from launch (a diesel Cooper S D is likely to follow later), with standard features including 17-inch alloy wheels, satellite navigation, cruise control and Mini’s ‘Pepper’ equipment pack. The Cooper D produced 150PS, already more than Cooper S D versions of other Mini models. A Clubman Cooper S D is likely to offer around 190PS. The Clubman’s launch coincides with a re-branding exercise for Mini, including a new logo, so it seems there will be a lot of marketing activity over the coming month to persuade you to request the Clubman is added to your fleet choice list, as well as directly to businesses to communicate the new model's upmarket credentials.